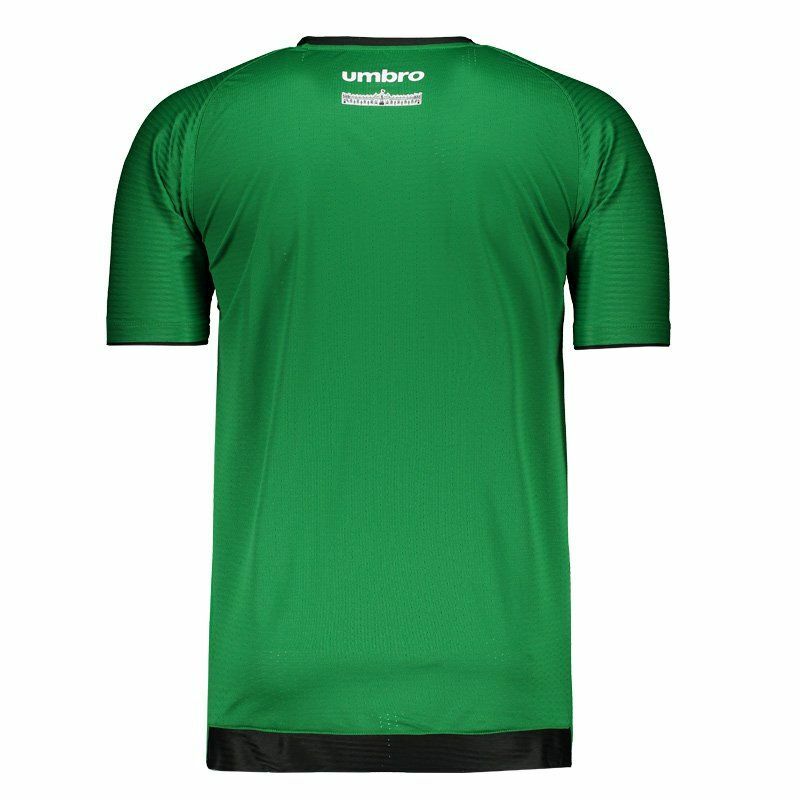 Produced by Umbro, the Vasco da Gama GK 2017 Green Jersey is made of lightweight polyester, offering soft and comfortable fabric, there are still mesh fabrics breathable, guaranteeing total body breathability. More info. 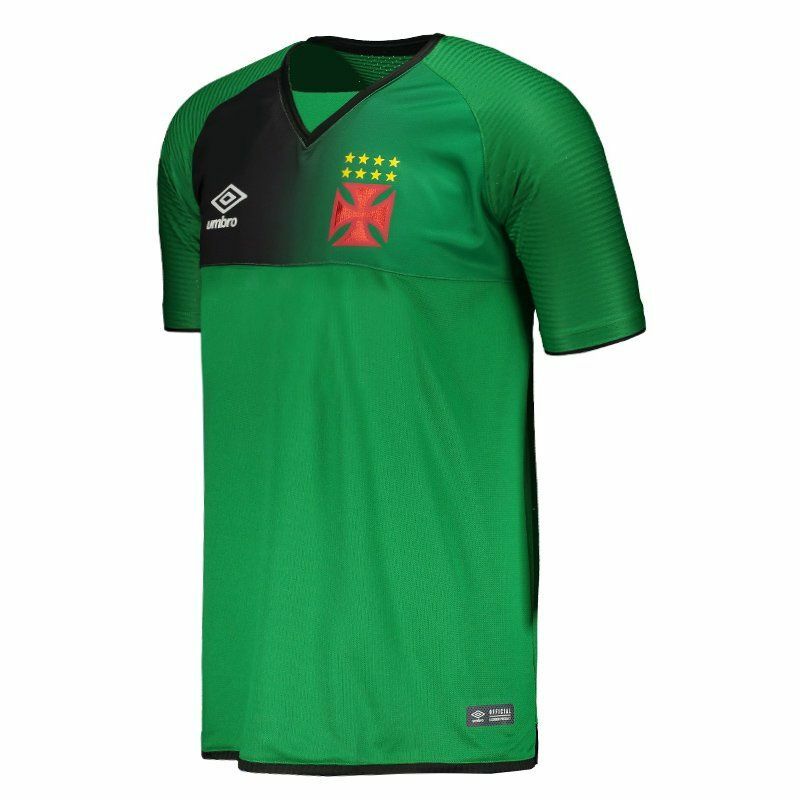 Produced by Umbro, the Vasco da Gama GK 2017 Green Jersey is made of lightweight polyester, offering soft and comfortable fabric, there are still mesh fabrics breathable, guaranteeing total body breathability. The piece can be customized with name and number in the official team fonts. 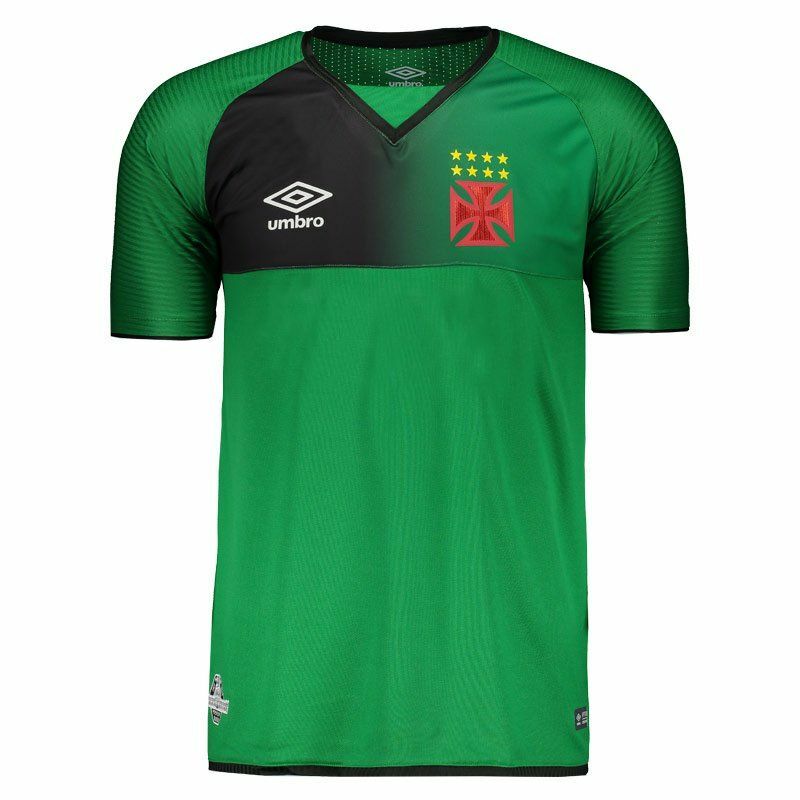 Its design is predominantly green with black details, as can be seen in the region of the chest, in shade gradient. In addition, it presents V collar with superimposed fabric, which in turn, has perspiration stripe inside. The team badge appears on vinyl on the left side of the chest and on the right side, the logo of the supplier brand. 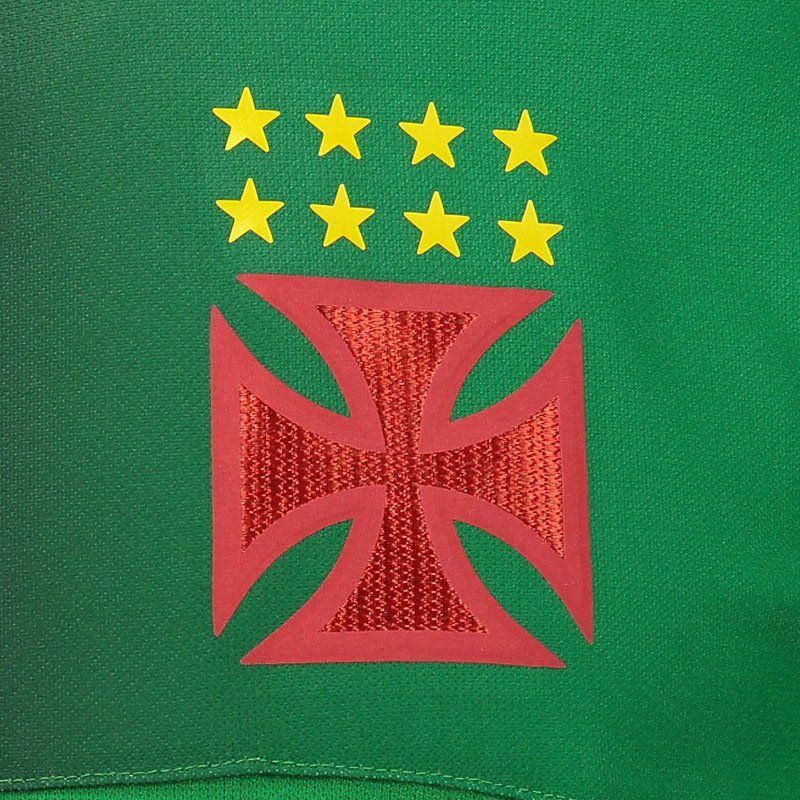 The piece still bears a stamp of sponsor on the front, as well as a stamp commemorating the 90 years of São Januário, placed above the bar, already in the back, an image of the front of the stadium is seen, below the nape of the neck. Finally, fabric superimposed on the collar, cuff of the sleeves and bar of the shirt, complement the details.